Virgin's Richard Branson unveils his latest toy...an underwater plane called "The Nymph". Seriously. 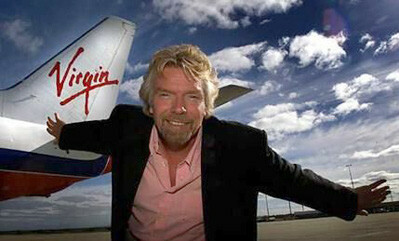 Virgin’s Richard Branson unveils his latest toy…an underwater plane called “The Nymph”. Seriously. The entrepreneur’s entrepreneur Richard Branson has just gone and bought himself a new toy for his private island, an underwater plane called The Nymph. Costing a mere $575,000, the Nymph can go down into the water up to 130 feet, allowing people to view the depths of the sea in the comfort of a sleek plane. It can hold up to three people at a time including the pilot, and was built using fighter jet technology.The Necker Nymph’s typical speed is 2 to 5 nautical miles per hour and it can dive more than 100 feet, said Karen Hawkes, a spokeswoman for Hawkes Ocean Technologies, the company that designed the Nymph. “Gliding on the water’s surface like an aeroplane on a runway, one of the three pilots will operate the joystick to smoothly dive down,” Virgin explained in a statement released Friday. The Necker Nymph claims “near-zero” environmental impact because its “positive buoyancy prevents the sub from landing on a reef, and its low light and noise emissions ensure the fragile ocean ecosystems remain undisturbed,” Virgin said. Branson plans to lend the plane out to guests of his private island for $25,000 a week, pocket change to his typical visitor.